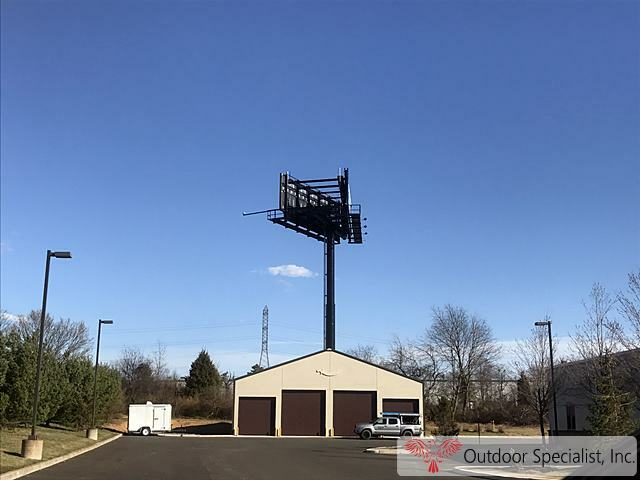 Outdoor Advertising Structures | Outdoor Specialist, Inc.
High Value, Low Maintenance Billboards by Outdoor Specialist, Inc. Outdoor Specialist, Inc designs and fabricates billboard advertising structures to exceed the industry standards. High quality materials and craftsmanship are backed up by a commitment to quality and customer service. Superior engineering, fabrication and project management increases your return on investment. We will stand with you at the spot to bring your project from dream to installation. OSI’s Engineers and state-of-the-art AutoCad lab creates exactly the outdoor advertising structure for your need. Typical turnaround time from design to deliver is 4 weeks. Our Augusta, Georgia facility can accommodate rush orders. We never sacrifice quality, safety or value. Trust us with your business, we will earn it again. OSI will be there with you every step of the way. OSI Raising Outdoor Advertising Structures to a new high! We work to maximize our clientele’s ROI. That is one reason major national outdoor advertising companies keep coming back to Outdoor Specialist, Inc.
Other reasons include the strength of bolt-together construction which allows fast, but safe assembly. We also use only the highest quality materials. Whenever possible, we source “Made In USA”. Our clients demand the best from us, so we demand the best materials for their projects. From raw material such as steel to paint, Outdoor Specialist-built advertising structures will stand the test of time and elements. Protection from corrosion keeps billboards, sign poles and scoreboards looking better longer which increases longevity and reduces maintenance expenses. Call Outdoor Specialist, Inc. for your outdoor advertising structures, experience why major outdoor advertising companies return again and again to OSI when they need additional billboards.